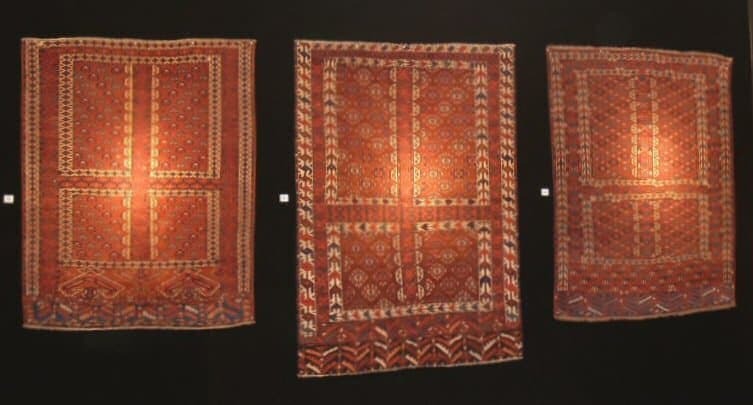 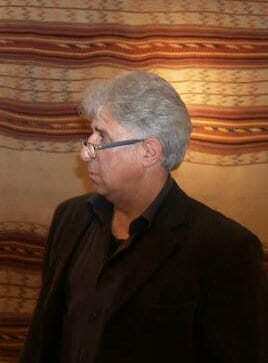 The 33th meeting of The Friends Of Turkmen Rugs took place at Hotel Baseler Hof 2-4 November 2012 in Hamburg. 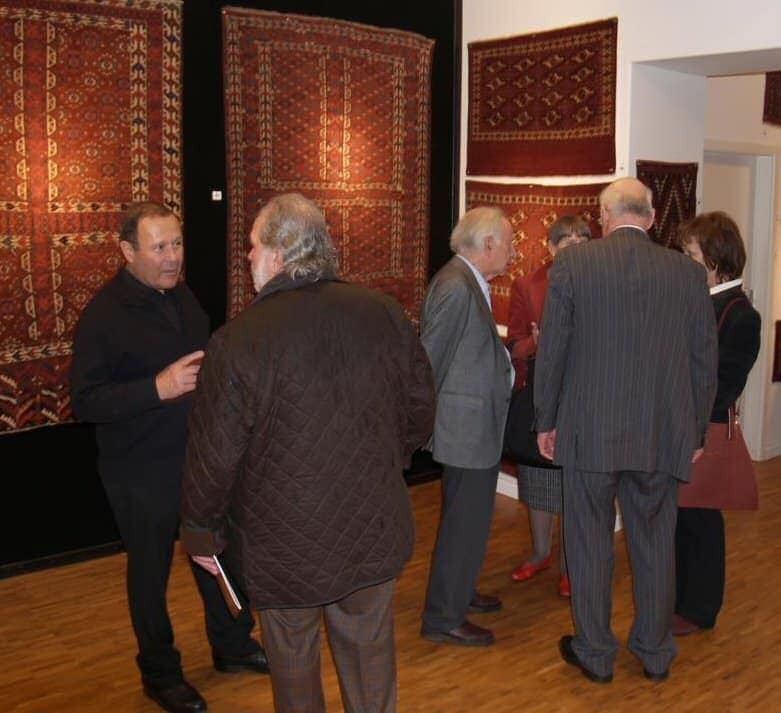 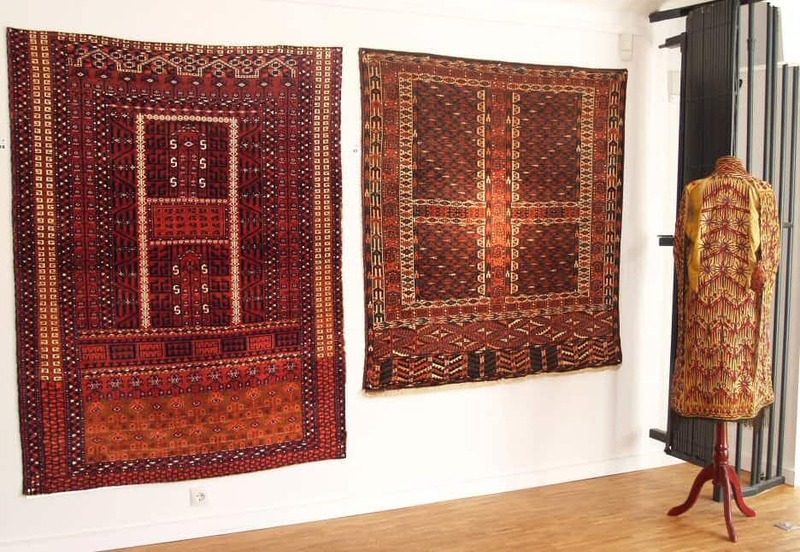 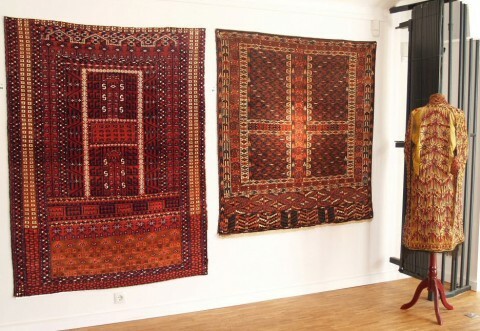 Concurrent with this event Mohammad and Sabine Tehrani held their annual Turkmen exhibition “Engsi Rugs” at their gallery in Neue Gröningerstrasse, Hamburg. 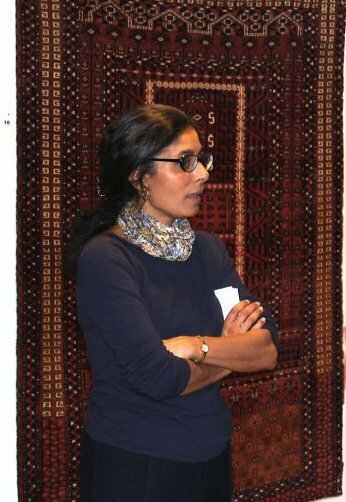 “For this year’s 33rd Hamburg meeting of Turkmen collectors, Mohammed and Sabine Tehrani put on yet another magnificent display of impressive pieces illustrating the varieties of ornamental design in Turkmen Ensi” said Tina Tabone, Tina Tabone Textile Art, to Jozan Magazine, and continued “The collection triggered long debates and intense examination among the discerning group of collectors. The exhibition was well visited, guests arrived even before it was officially opened with a jovial speech delivered by Hans Sienknecht, many die-hards lingered long into the evening, still discussing well after closing time”.